Come downtown and see what new and what’s cool for the New Year. Stores open late offering specials and refreshments. 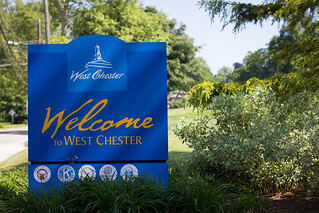 Downtown West Chester is a browsers paradise with more than 75 retail shops and boutiques offering a diverse and unique shopping experience. Apparel, jewelry, art, and gifts are among the items found in the quaint shops dotting the pleasant and walkable main streets. Below our a few highlights/specials occurring this coming First Friday, for more information visit http://www.downtownwestchester.com or by clicking here. The 5 Senses (133 W Market St – 610-719-0170) invites you to come in out of the cold during their Winter Doldrums Sale, with up to 60% off, beginning February 1. Valentine’s Jewelry 15% to 25% off through February 14. Ruby Slippers Boutique (18 N High St – 610-719-6040) has cozy Alpaca Socks to keep you warm during these cold winter days. “New Lysse” Leggings and Jackets are in! Bella & Betty (17 W Gay St – 610-719-3259) will be open late on First Friday and getting ready to celebrate their one year anniversary with a one time 25% off coupon on any item from 2/3–2/28.